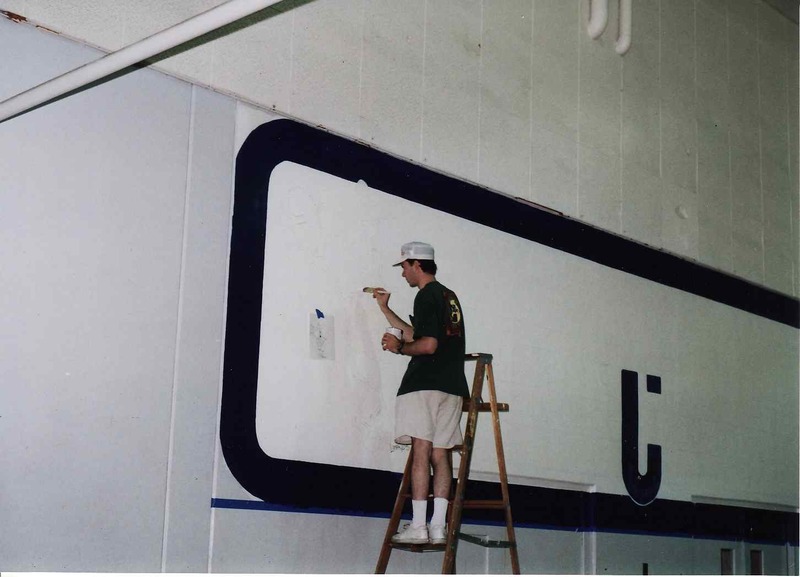 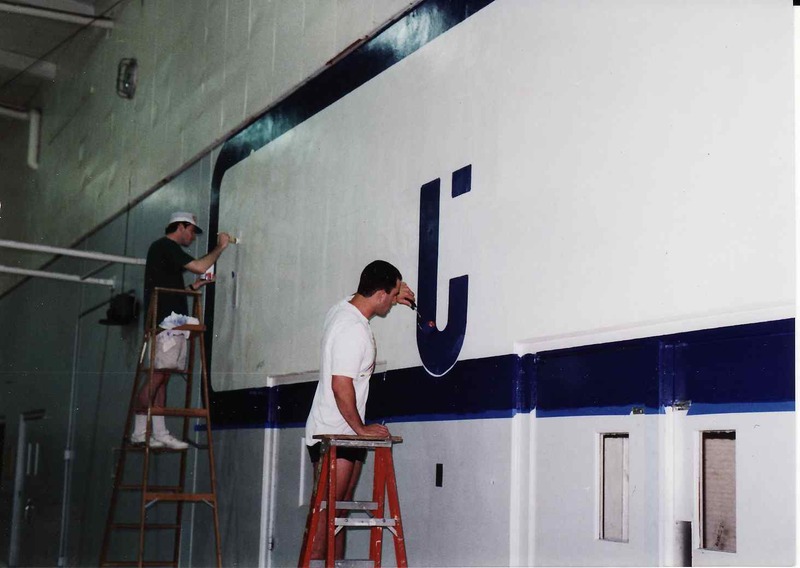 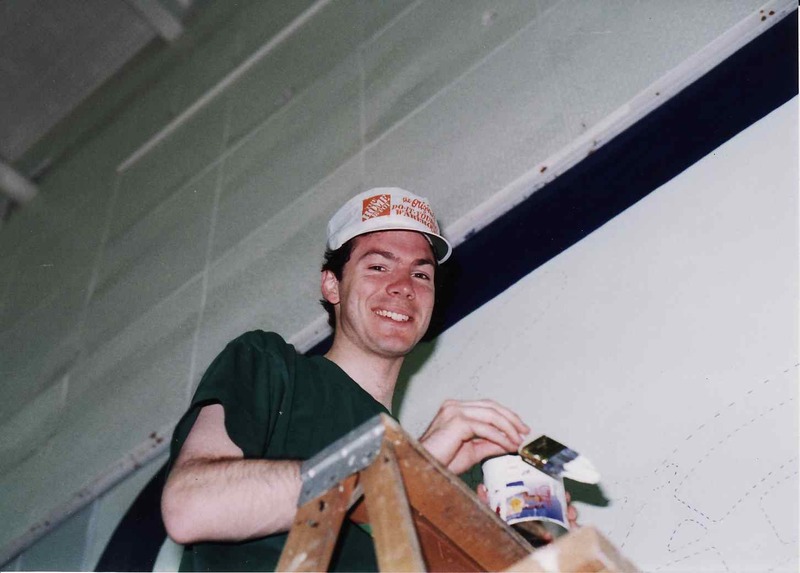 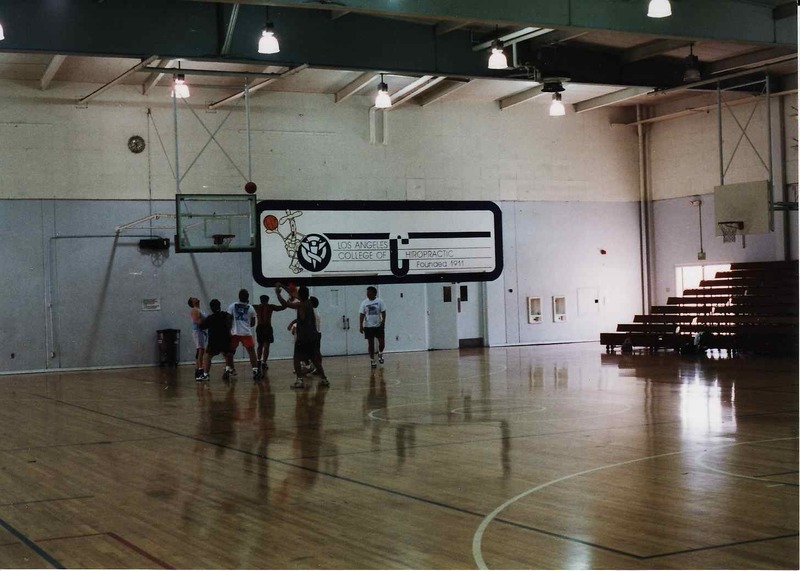 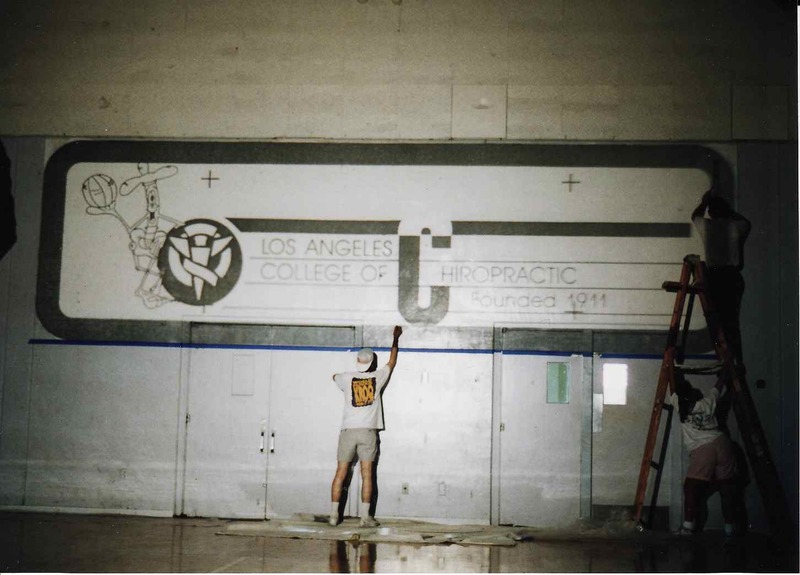 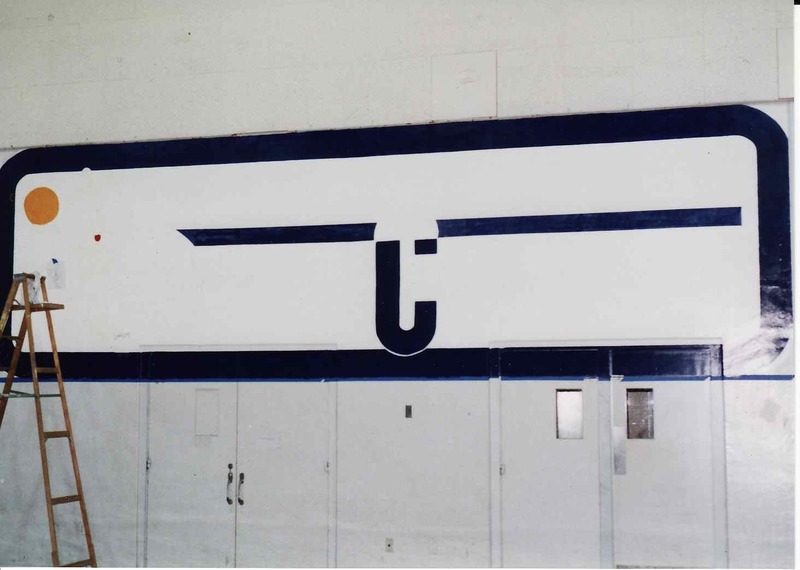 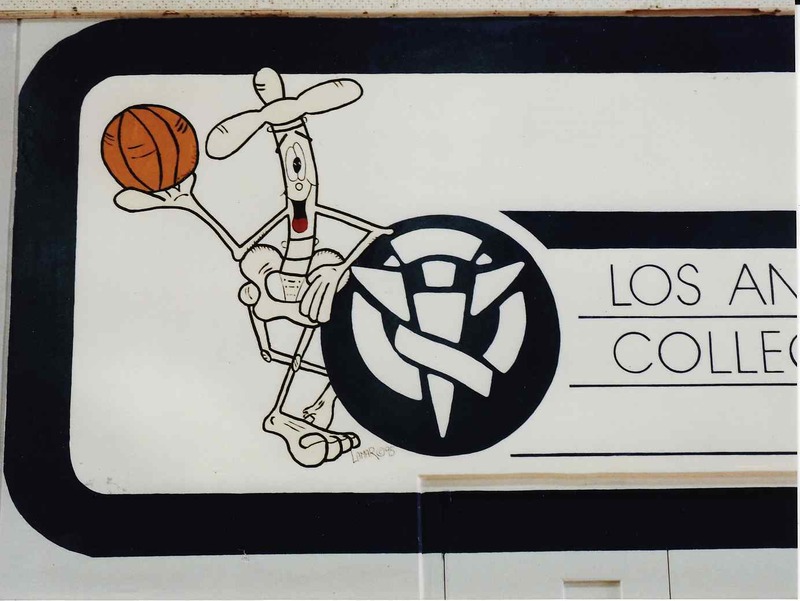 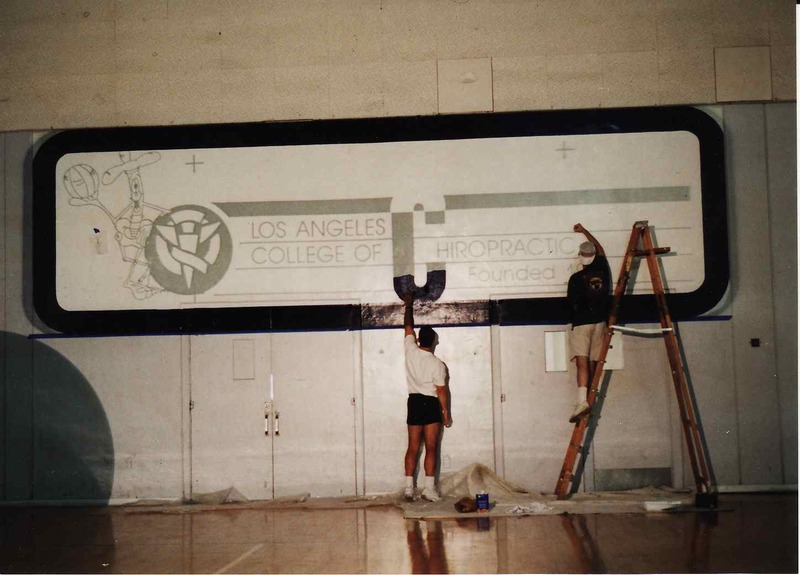 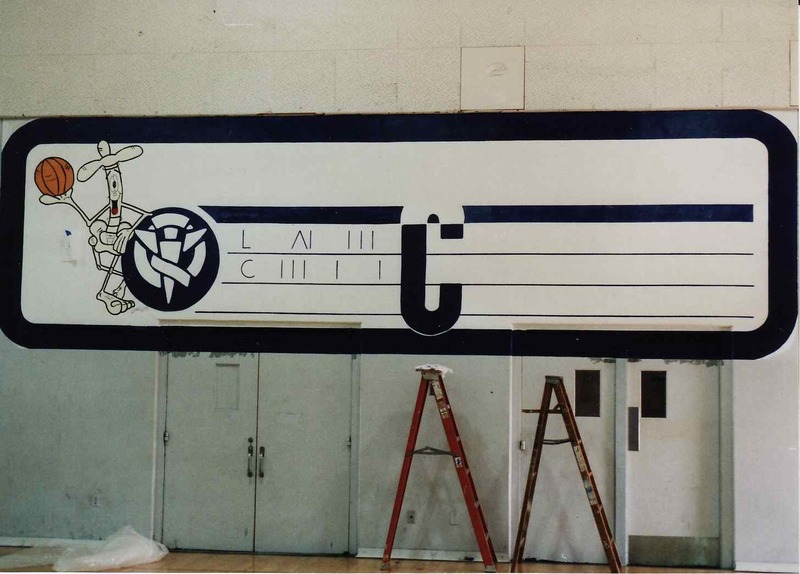 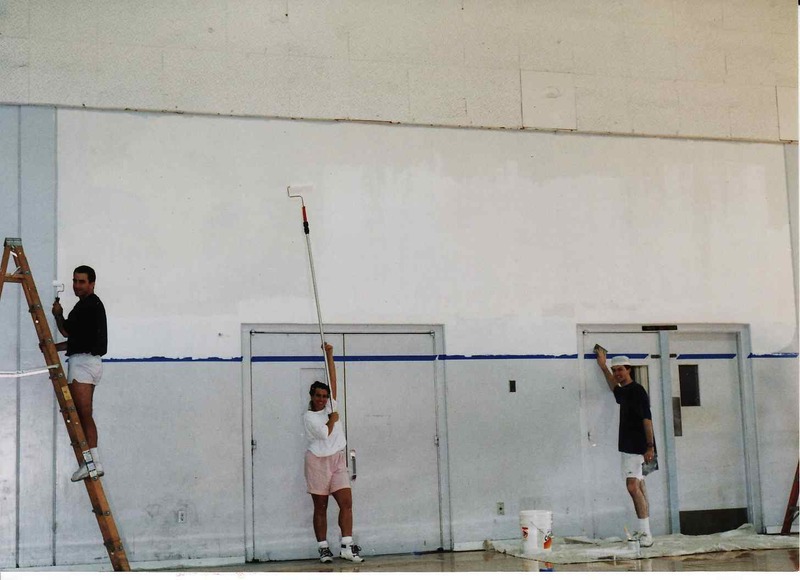 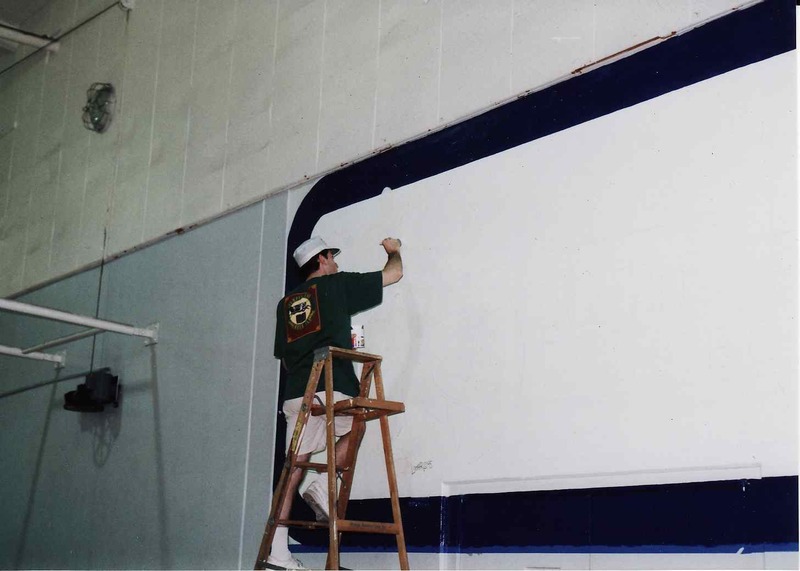 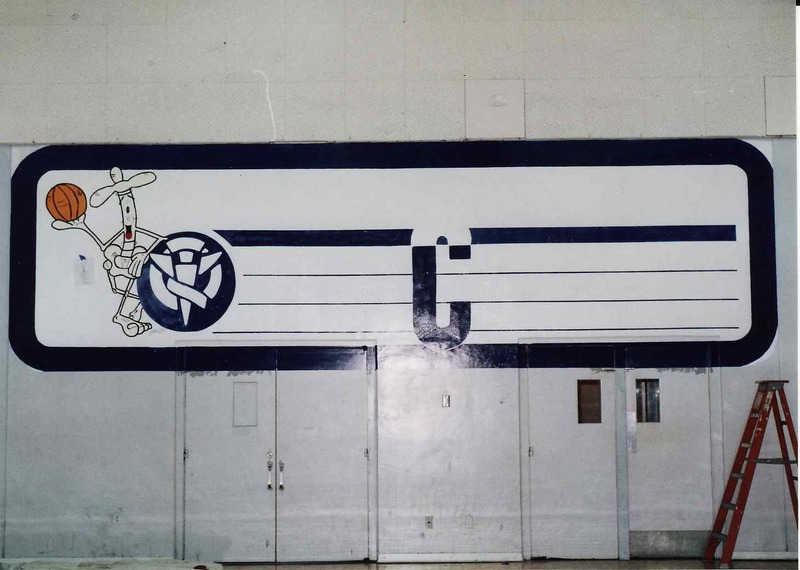 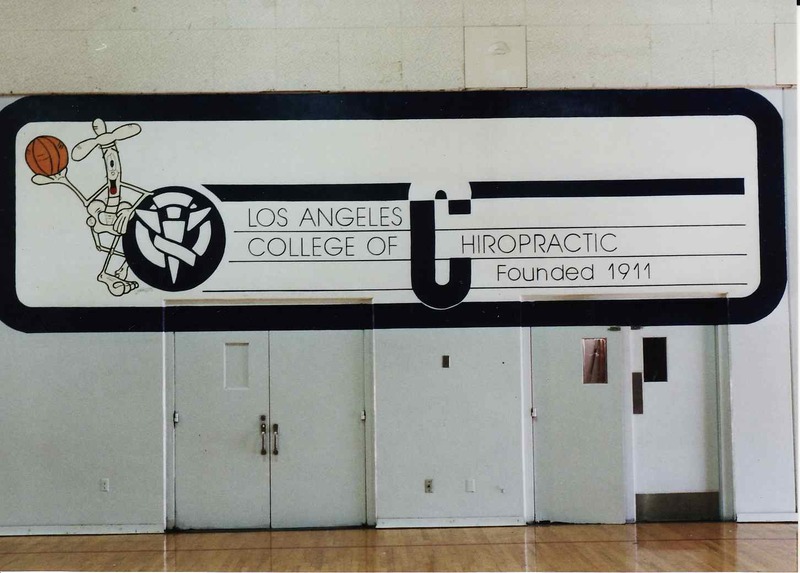 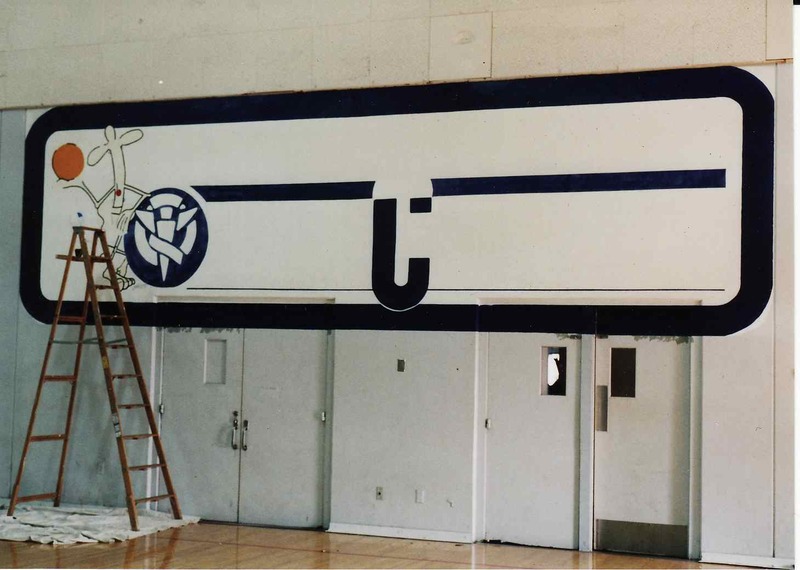 In 1995, I was given the opportunity to paint a Vert mural in LACC’s gymnasium. 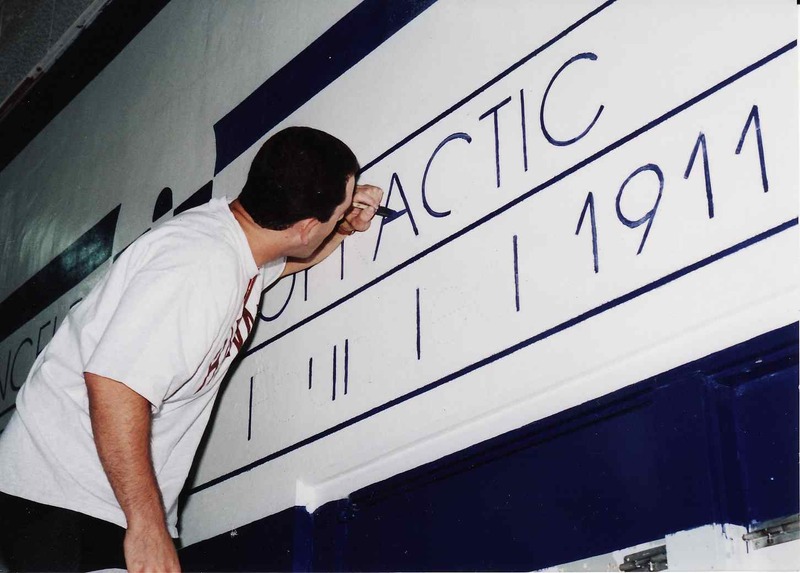 To say it was fun would be an understatement. 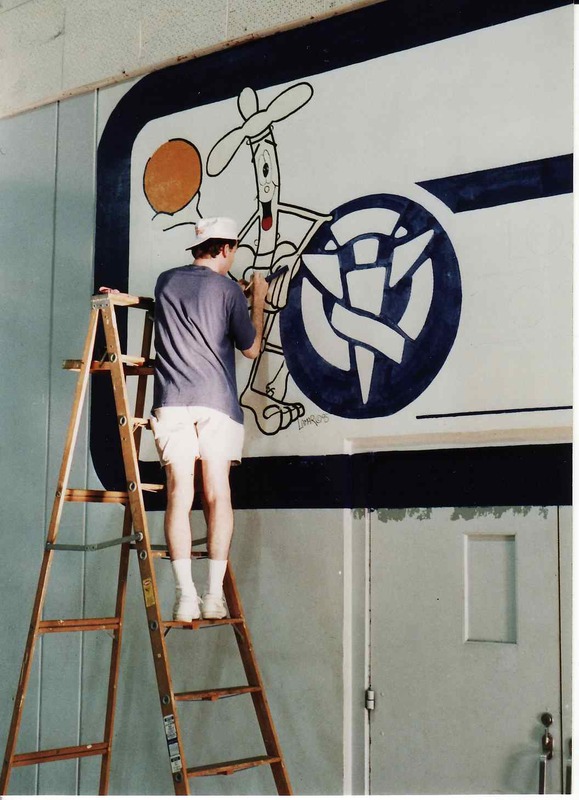 There’s something about taking a character that you’re used to drawing 6 inches high and, instead, being allowed to paint him 6 feet high. 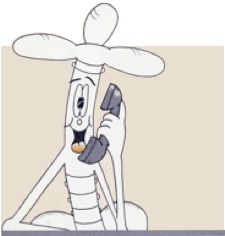 He really came to life. 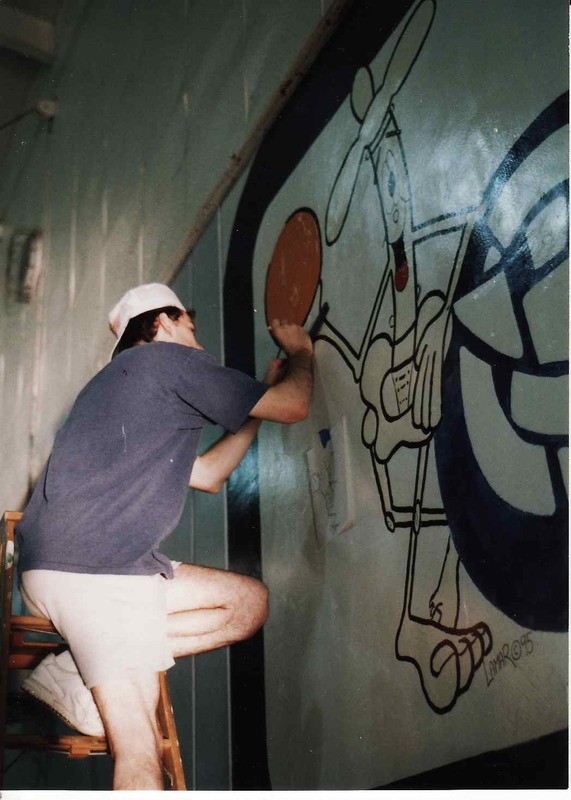 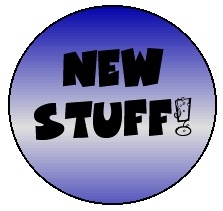 Have fun flipping through the photo album of pictures I took in the making of. 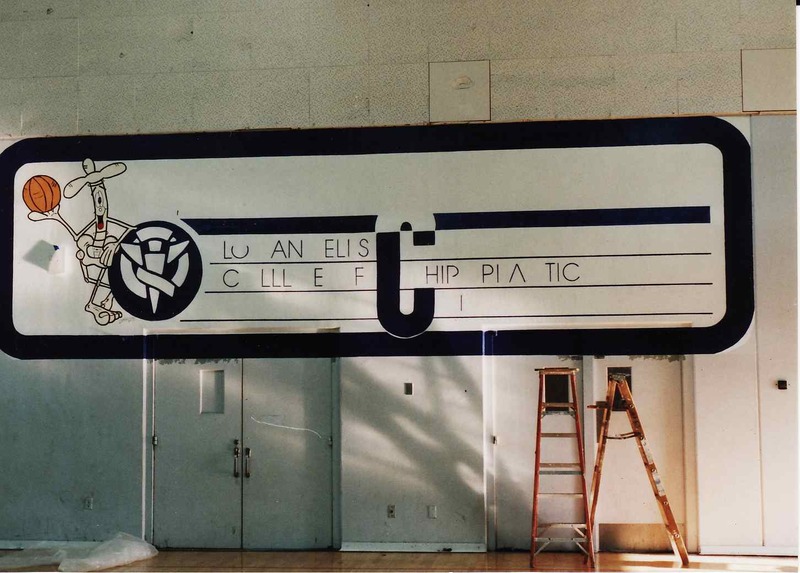 (Special thanks to Mike Stewart and Michelle Martin — pictured along with yours truly — for helping me with this memorable project).